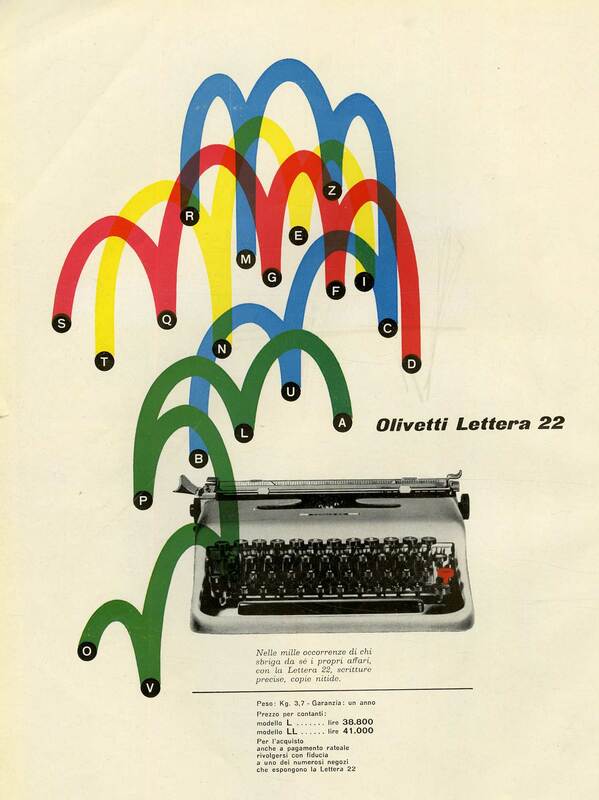 Olivetti was founded as a typewriter manufacturing company in Ivrea, Italy, in 1908. Today the firm is best known for the Lettera 22 (1950) and Valentine (1969) typewriters. The company’s innovative design ethos extended beyond its products and can be found in its advertisements, as well as through interior design and architecture. 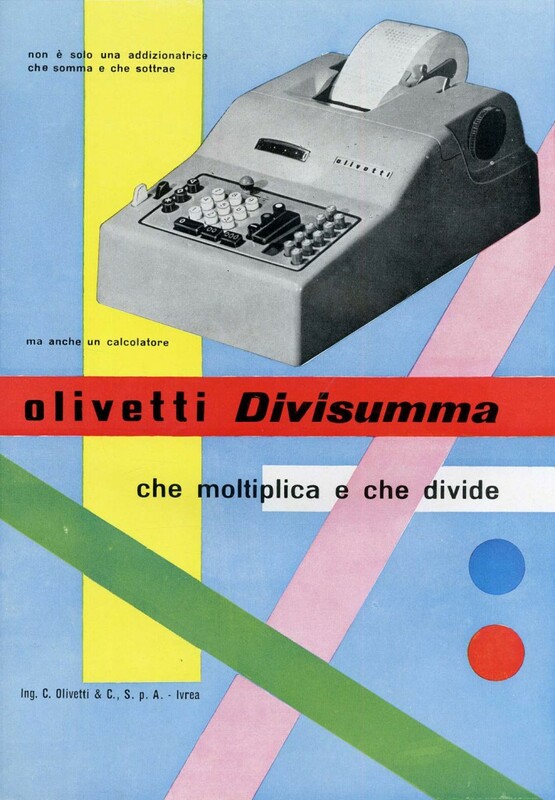 The AA Library is pleased to lend some Domus magazines to the exhibition, ‘Olivetti: Beyond Form and Function’, at the ICA from 25 May 2016 to 17 July 2016. 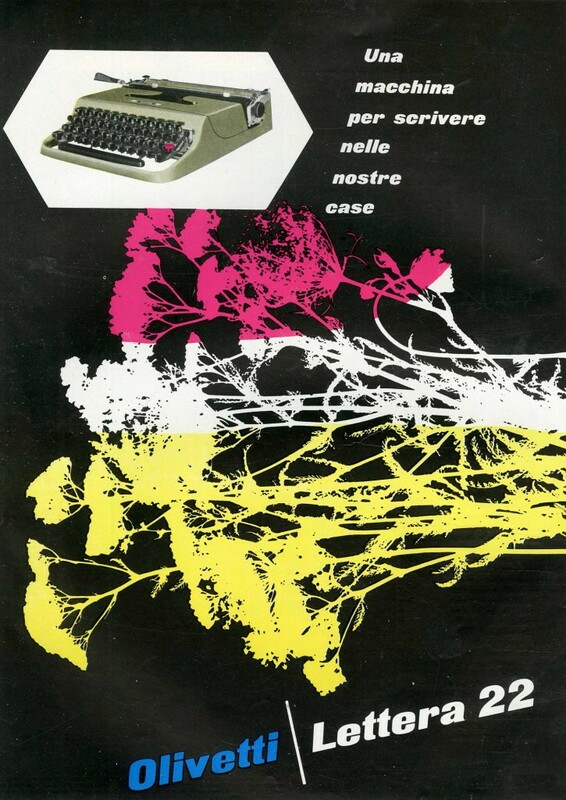 The magazines show several advertisements by Olivetti, which were considered pioneering for the ways in which they communicated complex, extensive information through a bold, simplified aesthetic.